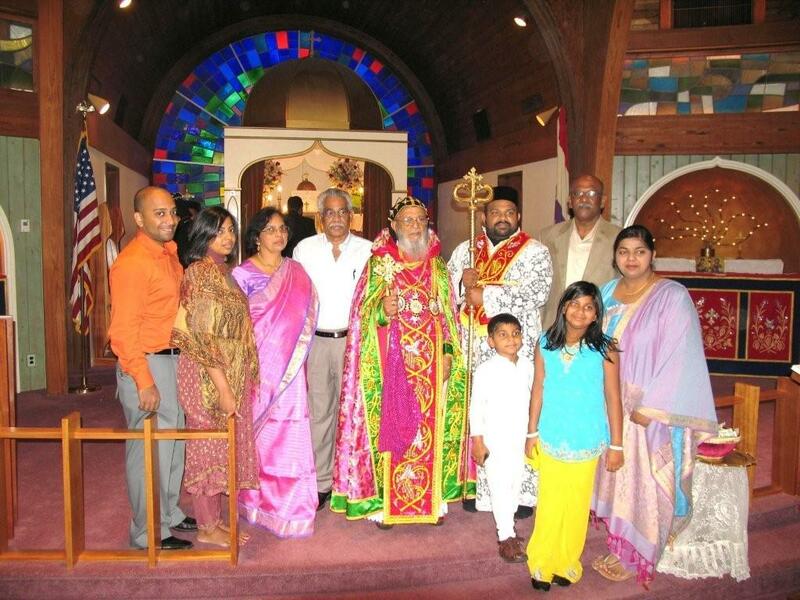 On Saturday, June 20th at 9AM His Beatitude Mor Baselius Thomas I, Catholicos of India, celebrated Holy Qurbono at our Church of the Virgin Mary in Paramus, NJ. 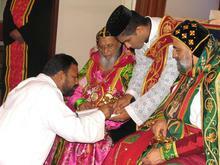 During the celebration, he ordained Mr. Markos Akash Paul to the rank of Reader (Qorouyo). His Beatitude was assisted by His Eminence Mor Cyril Aphrem Karim and several priests and deacons. 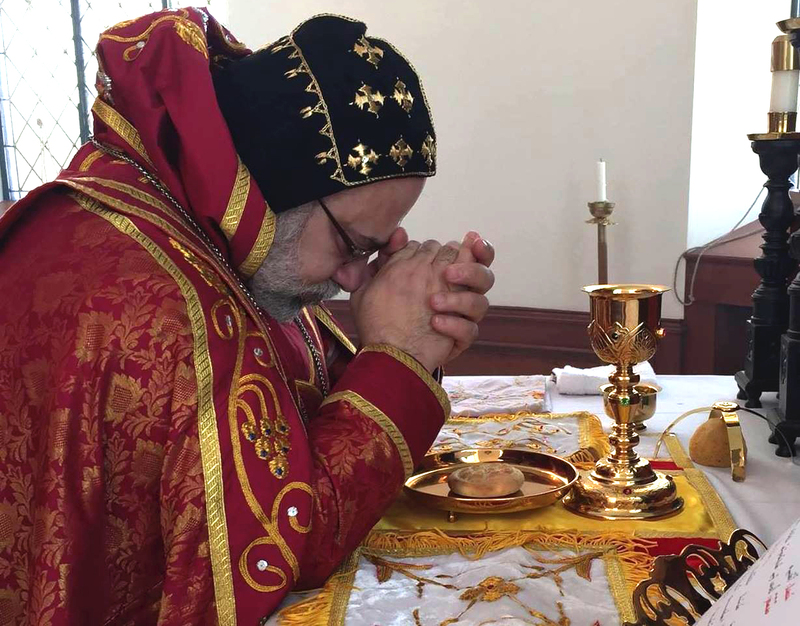 The celebration was attended by the family of the new deacon and over a hundred parishioners from both the Malyaly and the Syriac communities. At the end of the celebration, all were invited to lunch offered by the family in the social hall of the Church. 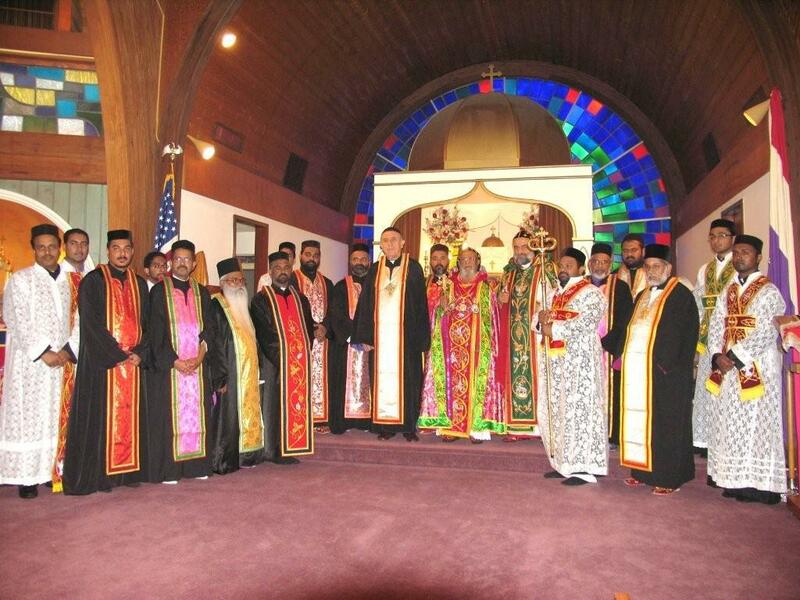 We wish the new deacon every success in his new ministry. It may be for the Glory of God.